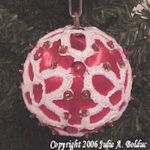 Four Mini Ball Ornaments -- $1.99 A Crochet pattern from Julie A Bolduc. 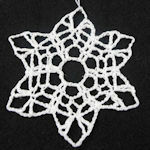 These crocheted Christmas ornaments are made with mini ball ornaments that are only 1 inch in diameter. 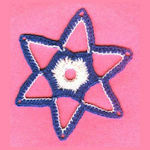 They are meant to decorate a miniature Christmas tree about 18 inches tall.